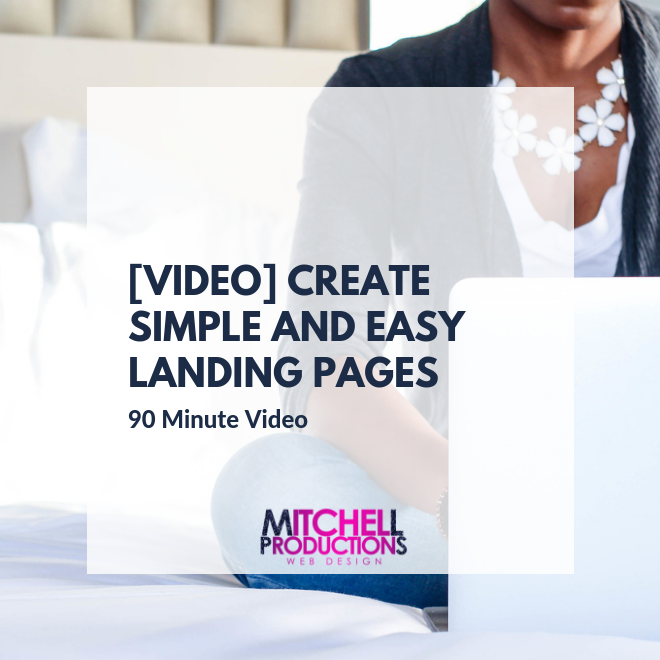 [VIDEO] Create Simple and Easy Landing Pages with MailChimp! Whether you’re selling beautiful “blood-sweat-and-tears-crafted” products, hosting amazing events, delivering digital courses or leading a heart-centered nonprofit, operating in your zone of genius comes easy for you. However, there are some things that may make you pull your hair out such as techy stuff like creating landing pages. Landing pages are an indispensable piece of the marketing puzzle for savvy entrepreneurs and small business owners like you who want to give their customers a single and clear path to purchase. That is exactly why I created this 90 minute replay video course. I will show you how to create simple and easy landing pages using the free Landing page feature in MailChimp.com. As a bonus, I show you how to add a custom website address to your landing page so that you continue building your brand. How do I begin? Oh, Hey Girl Hey Let me tell y'all something. I took the online course, Landing Pages, with Sharvette and it was amazing. Her teaching styles makes the most ignorant person to that particular skill feel like a professional. I experienced technical difficulties during the live feed and had no choice but to disconnect. Sharvette sent me the link and I was able to create a fabulous landing page, if I may say so myself. I recommend her for anything that she offers. Thanks Sharvette. You've gained a student for life.